What is the difference between Demo & Registered Version? Answer: In the Demo version of the software you can scan Apple mail inbox and preview the listed content but to save these mailbox items you need to register the software. Can I save Individual Apple Mail email into Outlook Mac format? Answer: No, the software won't allow you to save individual mails, but you are allowed to select individual folders to convert. How to Import .RGE file into Outlook 2011 Mac? Run Outlook for Mac 2011. Go to the File menu and then choose Import option. Choose the 'Entourage information from an archive or earlier version' option and click the 'Right' arrow. Now, select 'Entourage archive (.rge)' and click the 'Right' arrow. Choose the converted file and select Import button. The Import process will be started. What features of the tool I can use in demo version? Answer: In this demo version you are allowed to preview the body and subject of emails but, you will not be able to view attachments. To read and save all the emails and attachments you need to register the full version of the software. Do I need to download both the email clients to initiate conversion process? Answer: No, you only need to have Apple Mail file to initiate the conversion process. However, to use the content of converted files, you must have the required email client installed on your system. 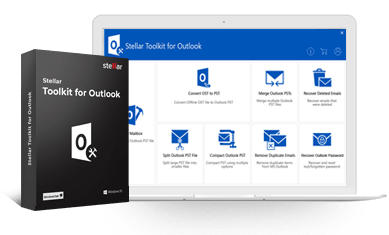 Can I convert my Outlook 2011 file to Apple Mail? Answer: No, you can only convert your Apple Mail to Outlook 2011 file with ease. To convert Outlook 2011 file to Apple Mail, you need to look for another alternative solution. What is the difference between single & technical version? Answer: Single licensed version is for home users as it installs only on one system where technical licensed version is for commercial usage that can be install on multiple systems at single location.